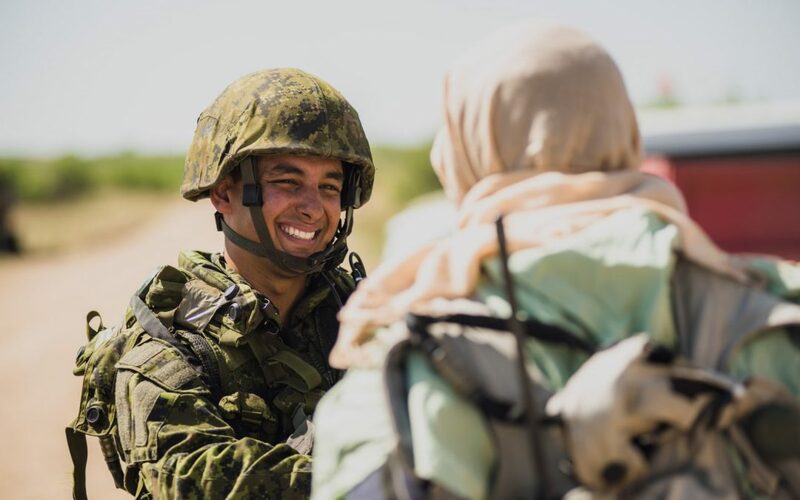 Calling it the hitchhiker’s guide to the Canadian Army might be a stretch. But whether you are identifying capability gaps, analyzing requirements for procurement projects, scripting training scenarios, or developing capability, tactics or strategy for operations, Close Engagement: Land Power in the Age of Uncertainty should be your primary reference. The recently released capstone operating concept doesn’t provide the meaning of Army life—sorry, it’s not 42, as The Hitchhiker’s Guide to the Galaxy joked, though the document is a concise 45 pages—but it does lay out many of the hard problems that will have to be solved to build and prepare the Army for the next two decades. 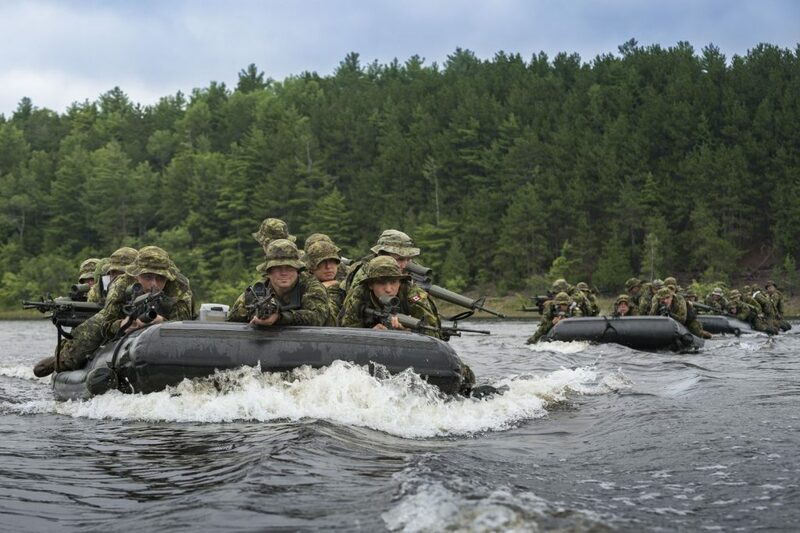 “Every new capability that the Army looks to implement should use Close Engagement as the guide,” said Colonel Darrell Russel, director of the Canadian Army Land Warfare Centre (CALWC). Close Engagement is an evolution of Land Operations 2021: Adaptive Dispersed Operations, the Army’s former capstone operating concept written in 2007. It envisions a complex and volatile future operating environment characterized by state and non-state actors with “ever-more sophisticated and lethal technologies,” a pervasive globalized information environment, population movements driven by climate change, rising economic inequality, weapon systems with drastically increased lethality, transnational criminal organizations with greater power and reach, a proliferation of hybrid threats, and conflicts that rise and escalate quickly. And few will be resolved by militaries on the battlefield alone. The new document more clearly defines the scope of conflict the Army must be prepared to confront, stepping away from the prevailing focus on counterinsurgency to include a more holistic view of what adaptive dispersed operations (ADO) really means. It recognizes the re-emergence of near-peer enemies with anti-access, area denial systems that could negate western military overmatch. But it shifts the emphasis on close combat as a core competency to one that is part of a larger skillset. “One of the highlights is how it covers that whole soldier-centric piece,” he added. The Army has two core competencies: close combat and close engagement. The former is well understood doctrinally; the latter less so. 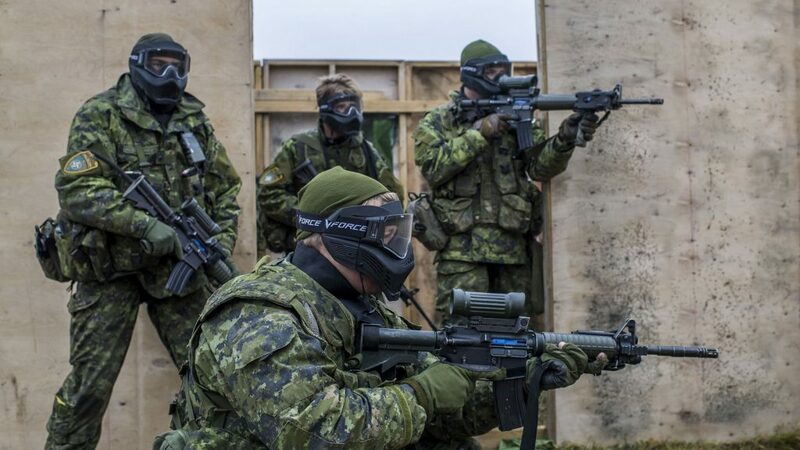 Close engagement as a competency is the “ability to conduct lethal and non-lethal activities at the tactical level in order to create the effects necessary to influence the physical, moral and cognitive planes within the operating environment. Close engagement, as a core competency, includes close combat. As an operating concept, Close Engagement becomes the means by which that competency is operationalized within any force employment context,” according to the document. The revisions catch up with what has been developing in recent exercises. Where ADO emphasized the battle group as the fulcrum of combat operations, Close Engagement fixes the mechanized brigade group headquarters as the central command, control and coordination point and establishes what it calls “empowered combined arms teams” (ECAT) as the primary combat element. “The battle group was the tactical unit of action and it was able to deal with all the enablers, to coordinate all the effects that were being generated in the battlespace,” explained Ron Bell, a recently retired Lieutenant-Colonel and one of the concept authors. “Close Engagement splits that out and pushes some of the capability down to the combat team level. But it also recognizes the importance of the brigade level above, to take that pressure off the battle group and coordinate those enablers,” he said of the array of unmanned and manned intelligence, sensors and analytical capabilities, joint fires, close air support and other effects a commander may require. While land forces will continue to be conventional, combat effective and multi-purpose, they will need to improve their connectivity, their agility and adaptability to respond to rapid changes, their ability to integrate seamlessly with both military and non-military partners, and their robustness to operate across the full spectrum of operations. Among the immediate challenges to adaptive dispersed operations in this context is the force development of the formation headquarters (HQ). What does full spectrum capable mean? When combating a near-peer competitor in all domains, how do tactical formations, command and control units and subunits mask themselves, manoeuvre, and concentrate force all in multiple battlespaces at the same time? That wouldn’t remove the human from the decision-making loop, but it could mean not every element of command support, including planning, intelligence and coordination, moves directly with the HQ. Instead, greater connectivity and artificial intelligence applications could ensure information is there when needed. The document also raises the conflicting challenges of being mobile and networked, while simultaneously masking or reducing the electromagnetic signature generated by the network. Russel noted that allies have wrestled with this as well, struggling to maintain situational awareness at the tactical level while on the move because of imperfect systems and the volume of data being streamed into a typical headquarters. “If you want to have large amounts of bandwidth currently at the tactical level, you need to stop, establish connectivity to a big pipe – a landline or high capacity links. But when you do, you become an obvious target,” he observed. “We have to become more streamlined in our ability to deliver services,” said Russel, noting that artificial intelligence and more analytical tools to act on the data already flowing off vehicles and throughout sub units could dramatically change how combined arms teams are supported. Within the Army itself, there are frequent reminders of the pitfalls when interoperability isn’t part of the original design process. In the past 24 months, the Army has fielded the first Android-based digitally-aided close air support system for JTACs and FOOs (joint terminal attack controllers and forward observations officers) and begun rolling out a leading-edge integrated soldier communication suite. The latter has blue force tracking, the former doesn’t. And neither system works easily with the other. CALWC has developed a network concept called Future Network that lays out some of the issues around compatibility of disparate systems. It describes a network hierarchy that, for the Army, begins with the individual soldier and advances to the platoon, company, battle group, brigade, and division, and how tactical formations will connect with operational and strategic levels of warfare. Due to the diversity of allied systems, proprietary concerns, and levels of classification, open architecture isn’t an option. But through exercises and experiments, the Army is working with allies to test and validate the technical standards for everything from operating system protocols to wave forms and map icons. 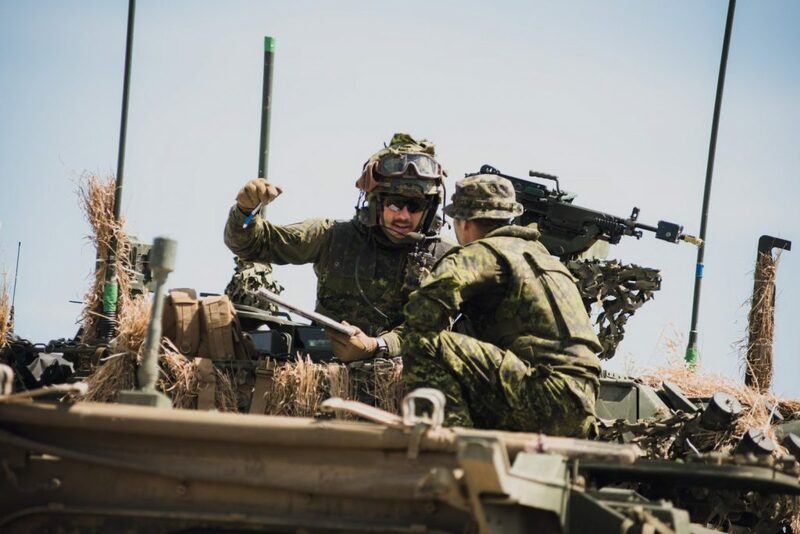 Close Engagement might be an Army capstone operating concept, but it acknowledges the importance of the Air Force, the Navy and other components of the Canadian Armed Forces to any international deployment. Land operations are inherently joint, said Bell, and depend on other services for transport, fires, surveillance and sustainment. “We describe, which we didn’t in ADO, what we need from the other (services) to deliver land power,” said Russel. That includes ship-launched sensor platforms – integrated into the common land operating picture – sea-based air defence and naval fires from the Navy, and satellite communications, rebroadcasting, aerospace surveillance, precision strike, close air support, air-to-ground electronic warfare, and aerial resupply from the Air Force. While interoperability with the U.S. Army is of critical importance, there is minimal influence from its larger operating concepting. The latest evolution, The U.S. Army in Multi-Domain Operations, 2028, was published in January 2019 and continues the shift from counterinsurgency to countering peer enemies through coordinated attacks from all five domains – land, sea, air, space, and cyberspace. “You will see flavours of that in here,” said Russel. CALWC has a liaison officer with the U.S. Army Training and Doctrine Command and participates in Unified Quest, a series of table top exercises and wargames to study concepts for future operations. “We look at everything from basic soldier competencies to how do we train leaders of the future, and how do we get them the exposure and experience and variety that they need to be those agile and adaptive minds that are going to lead the army of tomorrow,” said Bell, adding that research projects in recent years have explored social intelligence, adversarial intent and motivation, and will soon tackle the role of social media in military deception. The concept states: “Ultimately, institutional investment in technology and the human dimension will be necessary to success in future operation.” Not surprisingly, many of the challenges listed in the recent Innovation for Defence Excellence and Security (IDEaS) call-for-proposals are heavily influenced by Army requirements.